The competition is fierce, the preparation intense, and they'll stop at nothing to claim Best in Show and be crowned... Rabbit King and Queen? 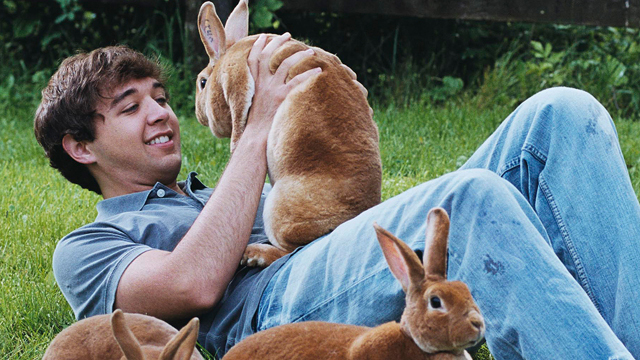 Welcome to Rabbit Fever, a coming-of age story about America's favorite unknown pastime: rabbit breeding! Are you all ears? Drawing more than 20,000 rabbits each year, the National American Rabbit Convention boasts the distinction of hosting the largest herd of bunnies in the world. Hop along with five amazing teenagers as they compete in the hare-raising festivities. They'll face the challenge of their careers as they put their knowledge of cottontails to the test! What's the difference between White New Zealands and White Satins? Can you explain the terms 'undercut' and 'pinched'? Who will claim the coveted titles of Rabbit King and Queen? After seven years, four rabbit conventions and more than 150 hours' worth of footage, Rabbit Fever is a rare glimpse into the background and lifestyle of the rabbit showing industry. It's also a unique tale of youth giving it everything they've got in this underappreciated hobby. After all the fur and lop-ears have been examined, what's left their display of showmanship and personal growth.